Daphnia is represented again, as is Euglena, but also what looks like a fairy shrimp of sorts and a decapod 'larva'? Not sure what the last thing is, maybe a mollusk 'larva'? From what I could find, there is Daphnia and Euglena, a Harvest shrimp Branchinella, the decapod is Zoea, and the last is a squid larvae (no given genus). Pretty cool actually. The names are there in Japanese characters. 'Zoea' is a no longer a valid genus; it was originally described as a genus but later found to be the larval stage of a previously-described crab. Today the term zoea is just a generic term for a decapod larva. Another must have set! Google translator says it will be released around April 20th. I'd second the suggestion of Branchinella for the anostracan (at least for the moment) since that genus also occurs in Japan. I've seen photos of B. kugenumaensis with exactly the same colouration, i.e. greenish with reddish or orange furcal rami. But I can't say at the moment if the figure will really be identifiable to genus or even species level. The zoea larva is a nice addition and the last one is a squid juvenile shortly after hatching (the spots are apparently chromatophores so it should probably represent a tiny one). That's just the Japanese translation, literally it came out to Crab larvae Zea. So either they were using an outdated genus, or the translation was loose. 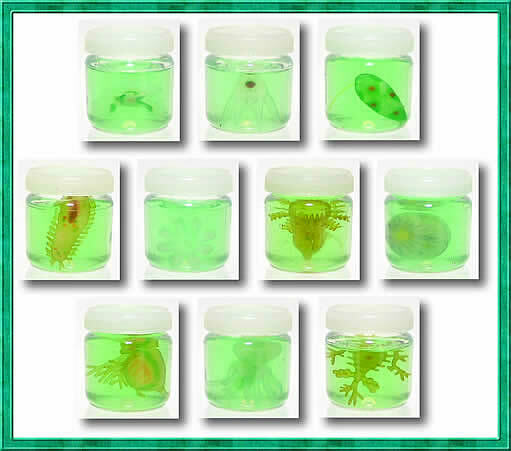 Most likely, it is meant to be a 'generic' crab larvae, like the squid one. I have to say, I like this thread--I must get my Epoch set on here. They're awesome! Even better than the Epoch set. A must-have! ....... 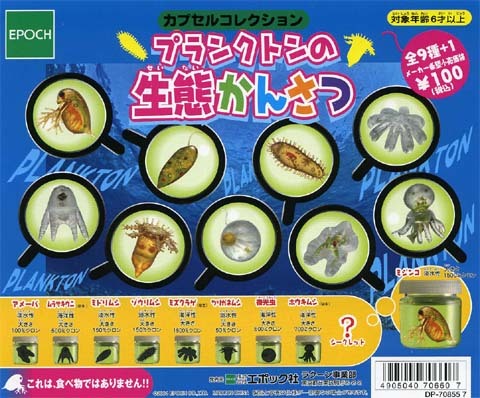 The Kaiyodo plankton set is in and at the post office (just need to go get it ). BTW, the paper accompanying the figures has the scientific names. The branchiopod is Branchinella kugenumanensis. 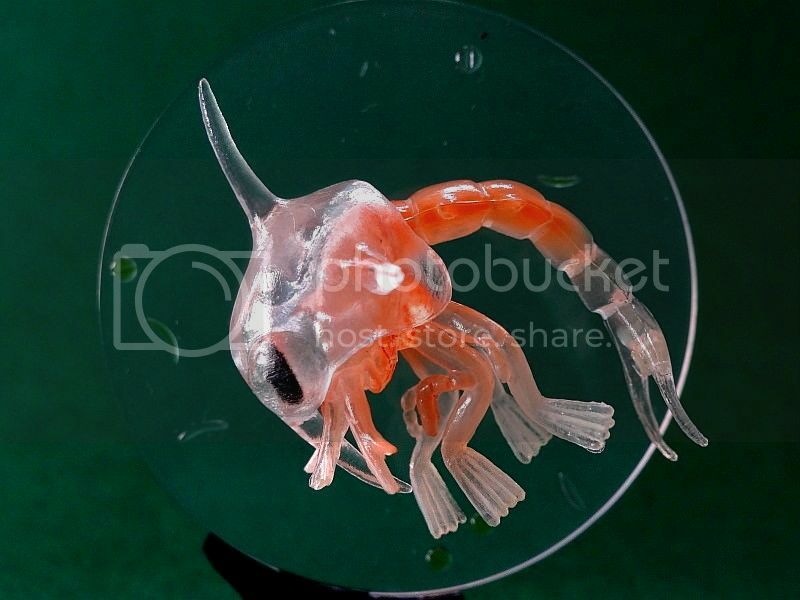 The crab larva is Portunus trituberculatus, which is the portunid crab released by Yujin/Takary Tomy in their crustaceans set! To beetle or not to beetle. It's technically called the 'Ecology of Plankton'. I was able to determine the species, etc by entering the Japanese script in Wikipedia Japan, and gleaning the Latin names from there. HORSESHOE WORM LARVAE PHORONIS spp. CYCLOPS (SECRET FIGURE) CYCLOPS spp. As I said, I think the series is from about 1998. I've only seen it for sale once--and it was when I bought it! I did, however, drain out the weird 'protoplasm' goo. It didn't keep well, but the figures stayed together fine. Wow! What a treasure trove of taxa. 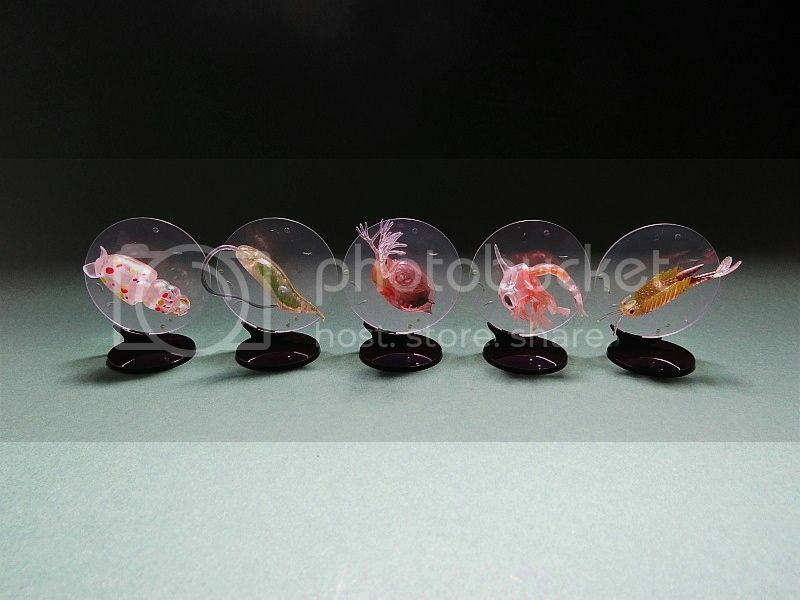 Several unique species. Beetle guy, thanks for the image of the plankton set. Sbell, thanks for the identifications with scientific names. I have seen the release date given as 2004 on an old auction record. If only the set were available today. I could be wrong on the date--I have the info papers, but haven't looked at them for some time! And the only reason I was able to translate was that the auction listed them all! So I was able to take that, and work them out. Otherwise, it would have been a series of mysteries! Argh, the Epoch set I've missed out... Stoopid me who didn't buy it when it was still available at YAJ in 2010 or 2011 (because I hadn't really started collecting before 2010). And it was cheap, something like 1000 Yen or so for the entire set... If I remember correctly, we were even discussing the availability of this set back then on the DTF version 1, at least with Sean and Blaine? I think I got it in about 2010. I don't recall seeing others, but I don't recall it being easy to find then. It's such a weird set, and yeah, it seemed like a decent price then, especially given that even the chase figure Cyclops was there! the Cyclops is the one thing, if any, from that set I really want! Thanks for sharing this set. I didnt know them .